Another summer is slipping away and the new school year is quickly approaching. As I see tons of Facebook posts of teachers getting their resources ready for the new year, I wanted to share something with you that worked out extremely well in my classroom. Once upon a time when no one really heard about task cards (at least me), one of my friends decided to create some task cards of standard based skills for her classroom. She used it during her literacy center time and it was beautiful. Kids were working on and reviewing skills that we as teachers don't always have time to go back and review. It caught on and soon, a lot of the teachers at my school began creating their own and using them... me being one of them. I now see task cards EVERYWHERE. There is a reason. 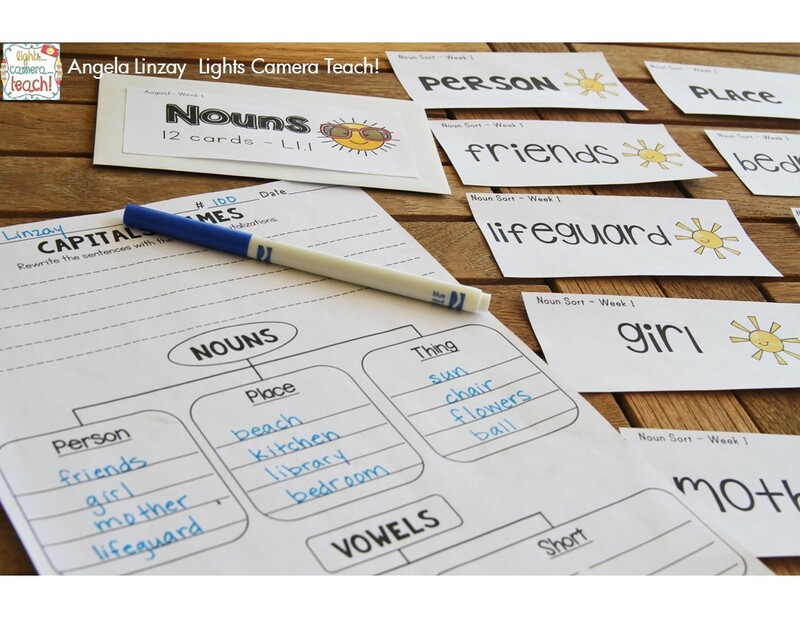 They work really well in practicing skills and make learning fun! I've seen them with QR codes, cute graphics, in scoot activities, etc. Then one day as I was catching up in one of my teacher Facebook groups, I came across a thread where a teacher was frustrated with her literacy center. Her kids would finish their centers early while she was still working in her reading group. They would then disrupt other kids or aimlessly walk around with "nothing to do". Other teachers began to voice the same frustration. To be honest, I've never had that problem. It's NOT because I'm great or anything (trust me, I'm not), but it was those task cards that I used in my classroom that saved me from experiencing this frustration. So I felt like I needed to share the "secret" to my stress free literacy time. Kids have a choice of centers that they will complete listed on their checklist. -gives student free choice of where to start. Kids like choice and will take ownership of their work. -avoids overcrowding of certain centers. Centers are in envelopes so students just grab and go. This August resource includes 3 weeks of centers. There are MORE than enough centers for the week. Trust me, they won't get through them all..unless they scribble on every page and move on, which in that case, you pull their clip down for wasting your precious paper. Ha! Every week, the same skill is taught which means that they are constantly reviewing the standards. This spiral review eventually creates mastery. Here is the AMAZING thing. My kids always were so proficient at their language conventions and skills because they were practicing them EVERY WEEK! The best thing? It was ALL independent! b) the number of cards are listed so that students count the cards when putting them back into the envelope. I despise incomplete centers! They keep all their papers in a folder for the WHOLE week. I have students turn in their centers folder at the end of every centers' time for a quick spot check. For those who need to "fix" certain pages, I put a little "x" on the top of their page. When centers' time rolls around the next day, they need to fix the page FIRST before they can grab another center. For those whose papers looks great, I just sign it off on their checklist. This system has worked really well for me. My students never finish all the centers because there are just so many to choose from, and I get to meet with my reading groups uninterrupted/undistracted. Plus, I get to be the one who decides when literacy centers are done! It truly is a Happily NEVER After! If you are interested in this resource, it comes in color AND black/white (to save on ink). 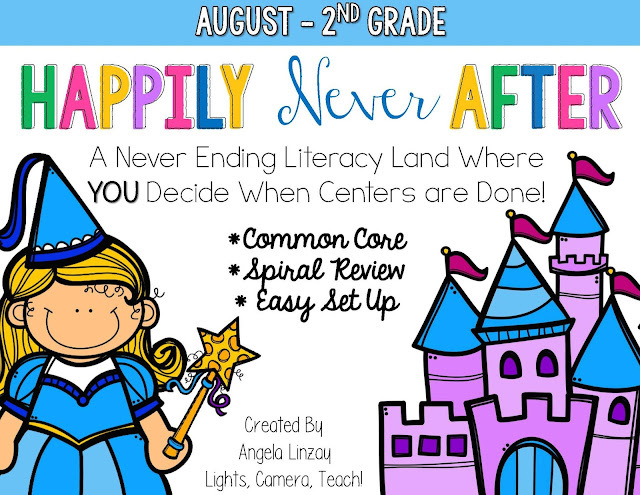 I know that this resource will help you take back your literacy time again so that YOU are the one who says when centers are done.